In Los Angeles sits a house just like any other. It is a modest two bedroom, one bath white Spanish style house with a tile roof with a blue door. If you look a little closer, you can see where the paint is chipping, and that the driveway is unusually narrow and ill-suited for cars; you will notice that there is no sidewalk, the street basically begins outside the front windows. It is not a house at which people would stop and stare. It is not a particularly beautiful or exceptional house, but it I love that house. Because it’s the house in which I lived when I took my daughter home from the hospital, it’s the house in which I watched her grow. It’s the first house that was ever “my” house. My connection to this house in Los Angeles is not a rational one. My love for this house is based, in large part, on the role that it has played in my family’s story. My connection to this house is sentimental and profound. This type of emotional bond with a place or location is not new for our people. For over three thousand years we have attached ourselves to a tiny slice of land no larger than our home state of New Jersey. Since the time of Abraham and Sarah wandering in Beer Sheva, since David hid from King Saul in Ein Gedi, the land of Israel has been intrinsically tied to our identity, to our survival as a people. The central narrative of our Torah is all about our journey from slavery in Egypt to freedom in Canaan, or what we know of today as Israel. For millennia our hope was pinned to our return to Israel. During the exile, through the crusades, the Inquisition and the pogroms, our people faced east and prayed to one day return to the holy land. Our connection to this land is honorable and historic. 70 years ago, our people picked themselves off of the graveyard of Europe and set out for a better life for themselves. With only the clothes on their backs they came. They came from Warsaw, from Munich, from Lodz and from every village and shtetl. They came in search, not of a better life, but in search of life itself. After years of experiencing only death, these heroes journeyed to find a place where life could exist once more. Like freshly fallen dew, these titans brought life to an arid, uncultivated strip of land. Teachers, and poets, these farmers and builders came, bringing with them a new rain of fertility to wash over their homeland. These ordinary people, these refugees and survivors we reborn as the founding mothers and fathers of a new nation. Meeting up with their brothers and sisters who had been living in Israel for millennia, our forefathers and mothers gave birth to a nation that would become a beacon of hope. For over 66 years Israel has stood as a homeland for the Jewish people, as a haven for those who need protection. Our connection to this land is powerful and protective. We know of her successes and her failures. We have seen from afar as Israel’s triumphs went unnoticed and as her failures were held in the spotlight. Throughout her brief history, Israel has struggled to uphold the two pillars upon which it stands; to be a democracy, and to be a Jewish nation. It has not been easy. At times we have seen Israel struggle with one or more of these holy tasks. We have seen transgressions of our holy commandment to embrace the strangers in our midst. At times Israel has lacked compassion for those in her midst who are not Jewish. At times Israel’s Judaism has been the sole property of one segment of the population. We have seen and heard these struggles. We have seen our religious leaders shackled and escorted from our most holy of sanctuaries for attempting to pray according to our principles. We have seen Conservative and Reform Rabbis arrested as they continue their struggle to pray according to our egalitarian values. We have seen bills proposed in our Parliament, our Knesset, calling for the deligitmization of our conversions. These sounds of strife, these visions of unrest from our Holy Land have led some to question why we support Israel. These transgressions have caused some to wonder why we insist on viewing or treating Israel differently. They accuse us of walking around looking at Israel with rose colored glasses. “Why do you romanticize this country,” they ask. Because Israel is the most romantic of notions, we answer. Because a people who wandered for two thousand years, a nation lost for two millennia has finally returned to its home. Hebrew, once considered a dead language, has been reborn. Our connection to Israel is immense and emotional. Yes, I know how I sound. I am not rational when it comes to Israel. I am not objective, and I am not dispassionate. Israel is not a country for me. It is the sounds and smells of the Shuk, the warmth of the sun as you walk down the cobblestone streets of the old Jerusalem. At times, it is the rudeness and inability of its people to wait online for a bus. Israel is the northern hilltops where I prayed Kabbalat Shabbat while looking at Syria. It is the Western Wall where I led services for the first time. For those of us who have been to Israel, we have been fortunate enough to return home. Home to the historic land of our people; Home to the land where our ancestors once settled, home to the embodiment of the Herzl’s vision of a new nation built upon an ancient nation. Herzl’s vision of the altneuland, the old new land, was a utopian one. At times the political reality that is Israel fails to live up to that utopian vision. But the hope for that vision, the dream of that vision still exists in our homeland. Our connection to this land is tangible and timeless. We are privileged to bear witness to a rebirth of a people and a nation. From the ashes of Europe we rose again to live in our homeland. And so we celebrate her 66 years a mere childhood in the life of a country. We say every week, from Zion shall come the Torah, and the word of God from Jerusalem. We long to see the dream of Zion fulfilled. We long to see a time when our people can live in peace and freedom; Freedom to move, freedom to worship, true freedom. We long for the day when, in the words of our prayer for peace, we shall “lie down and no one shall terrify,” us. But while we pray for a day of peace, we know that it is not today. We know that there Israel’s enemies are real, and they are merciless. This past summer, we’ve witnessed what happens when an ideology is bent on destruction. We have seen what happens when the death of civilians is viewed as success. We’ve understood what it means when a government marches the weakest of its people towards certain destruction. As leaders who sit back in the comfort of their air conditioned hotel room far from the destruction, call for the war to continue. And we have seen the loss of innocent life. We have cried at the images of children being wrapped in burial shrouds. Yes, we have mourned the loss of innocent life, of any innocent life. Crying for the children of Gaza does not make us any less of a Zionist; it makes us more. It makes us Jews who live the value of the Torah when we are told that every life is created in the image of God. It makes us loyal scholars when we cry for the death of the innocent, recalling the passage of the Talmud which states that one who destroys a life has destroyed an entire world. Our connection to this land is in our values and our realization of the divinity of mankind. The loss of innocent life is tragic, and the acknowledgment of that fact does not lessen the validity of the war that occurred. We know that Israel has every right to defend her citizens. We know that the tunnels built from Gaza were created with the sole purpose of death and destruction. We know that the kidnapping and murder of three Israeli teenagers demanded a response from the Israeli government. This past summer we watched as the world was turned upside down, as good was vilified as evil and evil was seen as a victim. We wrote letters to editors, we took to our Facebook pages and our twitter accounts trying to tell the world the real story. We posted article upon article in defense of a moral country, and yes, a moral war. But that cannot be the extent to our support of Israel. We do not have the luxury of sitting back at our desks and pontificating on things about which we might not have full knowledge. A couple of weeks ago, I had the opportunity to attend AIPAC’s Rabbinic Symposium in Washington DC. This was a one day series of lectures about the situation in the Middle East. Now, I consider myself to be relatively knowledgeable about the situation, I like to think that I have a handle on what is going on in Israel, but as I filled page upon page of my notebook I realized how much more there was to learn. No matter what our connection to Israel, we can always go further. For some it’s visiting Israel on an organized trip, or with our family. It’s experiencing the Golan and the Dead Sea. It’s visiting the Shuk and the Western Wall. But not all of us have the time or resources to visit Israel. If that is the case, then it is up to us, as a community, to bring Israel here. As many of you know, I had the opportunity to travel to Israel this past summer as part of a solidarity mission. While we were there, I struggled with the idea that I was just some tourist, someone who had come to witness the danger, while being afforded the luxury of escape at any time (unless the FAA had its way). But somewhere in between the sirens and the drones, above the roar of the F-14s and through the tears of the mourners we visited, I realized something. I was not there out of solidarity to a people under fire. I was not there only to care about the safety and security of Israelis. My trip, and the news of this summer reinforced that the safety and survival of Israel is inextricably linked to the survival of the Jewish people. Our support for Israel is not only about supporting a political entity 6,000 miles away. It is about ensuring the future of the Jewish people. Israel is not some experiment which, if it fails will fail without repercussion. In a future without Israel, it is hard to see a future for world Jewry. 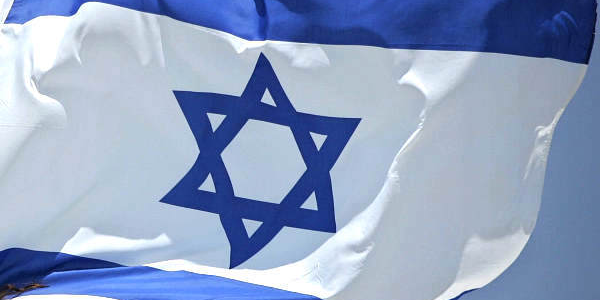 Over 50% of Jews live in Israel, and that number is getting higher. Our support of Israel is not only about ideology, but about self-preservation. But that support can only exist where there is a robust conversation. Recently, the Jewish Council for Public Affairs did a study of rabbis. According to their findings, 50% of the rabbis asked were afraid to share their views on Israel with their congregants. It didn’t matter if it was a rabbi feeling that they were too far left, or too far right, these people did not feel as if they could have a constructive conversation with their communities. Personally, while I have not avoided talking about Israel, I do refrain from talking about it a lot, because I know that we have such varied opinions in our community. That ends today. Just as it’s not easy to hear criticism of ourselves or our loved ones, it is not easy to hear criticism of Israel. But just as we know that we and our loved ones are not perfect, we know that Israel has flaws as well. I want to challenge us to take up the mantle of Israel. I want to challenge us to come out from behind our computers and to talk about Israel, to debate about Israel in an open an honest way. Let this be the place in which we hear both praise and criticism of Israel. Let us hear both of these with honesty and compassion, with love and with the realization of the rabbis, אלו ואלו דברי אלוהים חיים, that this opinion, and its opposition are both the words of the living God. That both our opinions and those whose opinions we resist are the words of the living God. May this be the year when we come together as a community. May we be blessed to join together in agreement, and may we embrace one another through our disagreement about one of our holiest of topics; the Land of Israel. May we strengthen our connection to our homeland and may we forge relationships with all of klal yisrael, with the entire nation of Israel, and let us say, Amen.